Not many women can burn through five dozen film roles, two Oscar wins, three more nominations, seven husbands, six marriages, and four kids while still finding the time to look stunning - but actress Elizabeth Taylor made it work, albeit with a few bumps along the way. At the age of twelve Liz dazzled the world in her debut film “National Velvet” and mesmerized all with her astounding beauty and the most famous eyes of the twentieth century. Then there was her fashion sense --particularly through the 1950’s 1960’s, and 1970’s-- that for better or worse was more than memorable. In the 50s she was voted the Most Beautiful Woman in the World and she holds the record for the most appearances on the cover of Life magazine: eleven in all. It was then that she set the template for her Hollywood-on-steroids look. Her wardrobe was filled with lavish fur coats and jewels so over the top that they looked like paste. Her fur collection gave her a larger than life appearance that Lady Gaga should be envious of. In 1963, her makeup for the filming epic Cleopatra cemented the look of Taylor’s flashing sapphire eyes, rimmed in kohl and framed by strong, immaculately arched natural brows. She carried it over into her off-set styling and popularized the look. And when Taylor grew out her signature short midge haircut of the 1950s into a 1960s bouffant, so did women everywhere. In the ‘70s, she made turbans, big sunglasses and pantsuits look chic. In the ‘80s, she rocked big hair and big shoulder pads. 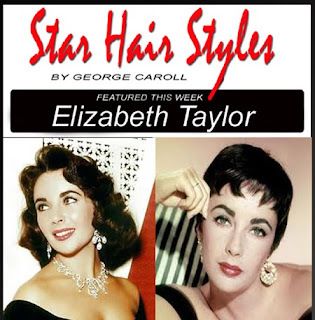 Elizabeth Taylor was the definition of glamor and style. Her Jewelry collection was legendary; the Grand Duchess of Russia’s Emeralds, 69-carat Burton-Taylor diamond, a 33-carat Krupp diamond ring, the La Peregrina Pearls, Taj Mahal heart-shaped yellow diamond necklace and assortment of sapphires, emeralds, rubies and diamonds, each a lover’s gift larger than the last. As businesswomen, her signature fragrance white diamonds launched in 1991 is said to be one of the most celebrity fragrances of all time. Elizabeth Taylor was a ultimate movie star, a fashion icon, and a tireless activist and fund raiser for AIDS research. The term style icon has become so devalued in recent years to have become almost meaningless, but Liz Taylor was one of the very few women who can lay claim to having a truly iconic look, unapologetic-ally glamorous, a Hollywood star to the core. She was the image and voice for American Beauty Culture throughout her life. Anthony Battaglia President of United Salon Associates (USA) and inventor of the “Royal Blue” Mark II styling combs has recently introduced his latest innovation “The Apollo Styling Brush” in three sizes with plans to manufacture a full line of Professional Hair Styling Tools, combs, styling brushes, flat irons and hair dryers all made and assembled in the USA by Americans. The APOLLO brushes are designed with 100% reinforced Boar bristle with 2 rows of extended non scratch Ion infused “poly pins”. This innovative feature makes it easier to style by using the “poly pins” to penetrate the hair and lift the hair over the Boar bristles adding far more control then traditional round brushes and speeds the drying process while the Boar bristles gives the hair a smooth shiny Healthy Looking finish. 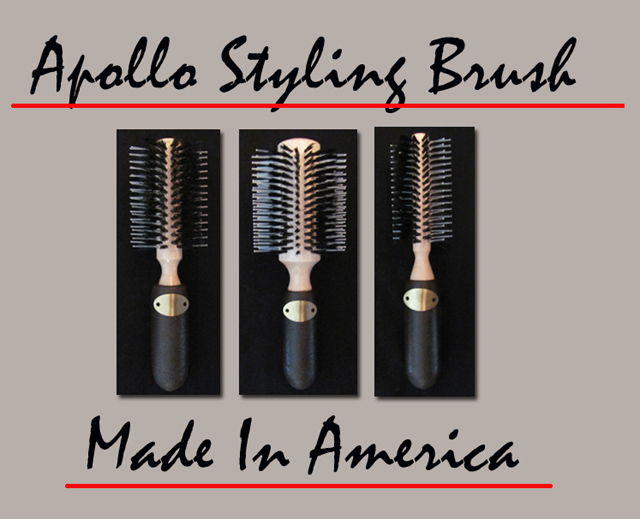 The comfort grip handle allows the brush to turn freely in the hand and is just one more unique custom feature build into the APOLLO line of round styling brushes. What’s more the Apollo Brushes are manufactured exclusively in USA by Americans using the highest quality components and are guaranteed against breakage in normal use. Salon Professional Discount 20 % off plus free S&H $14.40 each. Buy all three for $36.00 to get pro discount you must write your license # on the order. Be Nice Or Else and what’s in it for you by Winn Claybaugh brought a smile to my face and has made everyday a delight in both my personal and professional life. His insightful book is interspersed with humor, sage advice, interactive exercises and plenty of wisdom. Winn has created a genuinely practical guide and is an absolute must for anyone who wants to succeed in business and life. Being Nice does not mean you’re weak or a pushover; on the contrary, Being Nice is Being Strong. When you add being nice to what you're good at, your relationships will flourish and your career will skyrocket. 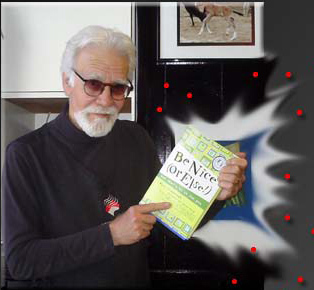 Winn shows you how to start being nice to yourself and how to implement a BE NICE culture at home and at work. You'll learn what to do when you blow it (and you will) and how to handle mean and toxic people. Best of all how good it feels to spread your niceness to everyone you meet. 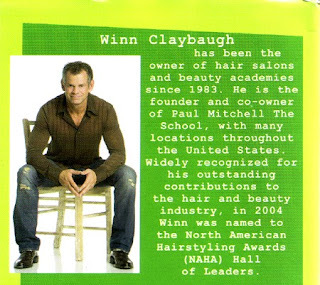 Winn is always looking for people to join his cause of being nice, so please be passionate and join one of the nicest people in the beauty industry. The Encyclopedia of Hair by Victoria Sherrow looks at the history of hair styling though the ages, revealing certain common threads as well as many differences among cultures around the world. Ideas are explored about what constitutes attractive, stylish or appropriate hair have varied from place to place and from one historical era to the next. From the Stone Age to the Information Age__ this well researched book cover’s every aspect of beauty culture with a quick index guide to related topics from A to Z, making it easy to find what you’re most interested in learning. The Evolution of Hairstyles and Trends through the 21st century was one of the most enlightening looks at how hair style trends have evolved over time. Victoria points out that in modern times, as in the past hair came to symbolize a certain freedom, and choosing one’s style embodied feelings of individualism and personal identity and a deeper appreciation of diversity in hairstyles and beauty ideals. In an Information Age world with mass communications, people’s attitudes about hair and hairstyling are influenced by advertising and the visual and performing arts. Hairstyling decisions often are influenced by the hair care industry and celebrities. Billions of people today now have access to the same images and commercial messages. As long as humans care about their appearance, they will continue to use their hair as one visible way to express themselves and communicate a verity of social messages. Since the early 20th century, mass media have played an expanding role in shaping attitudes about beauty and appearance. It also saw numerous innovations in hair care products, which has become a booming industry, along with the rapid growth of beauty and hair salons for both men and women. The book explores the history of leading beauty company’s and celebrity hair stylists that have influence beauty culture through the ages. Advances in the science and technology gave hairdressers more sophisticated tools, styling techniques and hair colorants. By the 1950’s hair color products had become more natural looking and easier to use, and the stigma against using hair color was diminishing. To introduce its Miss Clairol home hair color kit, Clairol launched a highly successful print and television ad campaign with memorable slogans (does she or doesn’t she __ only your hairdresser knows for sure). To challenge Clairol, L’Oreal a French company launch an ad campaign with celebrity endorsements and a higher price point designed to give its brand a prestige appeal with a memorable tag line (because I’m worth it). With-in ten years the number of women in America coloring their hair went from 7% to over 50 percent and by the turn of the century three out of five women now color their hair. It was interesting to learn that the first celebrity hairdresser was Polish born (Antek Cierplikowski / 1885-1975) known as “Monsieur Antoine of Paris”. Like Vidal Sassoon, Antoine is credited for starting the fashion for short hair. During the 1920’s, he created the shingle, which was cropped even shorter than most bobs and softly waved. Antoine himself was known as an eccentric (self promoter) who dyed his hair and that of his French Poodle matching shades of lilac. By the 1930’s Antoine was the world’s best known hairdresser. The Antoine Salon at Saks Fifth Avenue department store which he opened in 1925 became America’s most fashionable salon and spawned new generations of famous hairdressers. One of Antoine’s protégés was Alexander of Paris who became another international hairdressing star. 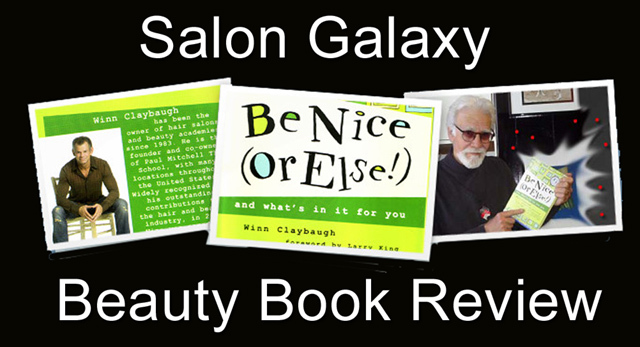 His amazing career is covered along with dozens of today’s famous hair stylist’s and hair care innovations in Victoria Sherrow’s page turning review of the history of beauty culture. 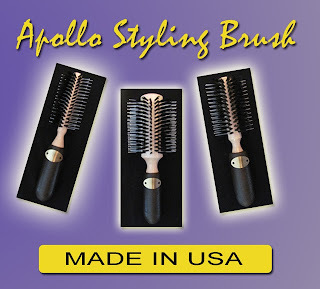 Throughout history hairdressers have designed and manufactured tools expressly for hairstyling. The hot styling iron, a device designed to curl, wave and crimp hair dates back thousands of years. At the turn of the 20th century a French hairdresser and one time horse groomed Marcel Grateau (1852-1936) designed and sold a curling iron heated over a gas burner and styling technique used to create deep, smooth natural looking waves in the hair aptly named the “Marcel Wave”. Because the waving effect added a soft / feminine touch to the popular short bobbed and boyish hairstyles of the 1920-30’s his timing could not have been better. Marcel traveled the world teaching his technique and went on to manufacture an electric version a fore runner of today’s temperature controlled styling iron making heat styling safer and easier to use at home. The Encyclopedia of Hair is written for those who wish to learn more about the social history and customs of different cultures, as well as the changing attitudes toward hair styling through the ages. The encyclopedia of hair covers every aspect of beauty culture and should be included in all beauty school courses. The more you understand the past the clearer vision you will have of the future.